So on Saturday, I did my first 10km run in about 15 years. That’s a pretty long time if you really think about it, but what I found interesting, was why I even decided to sign up for Run Jozi. I am in no way motivated to run, I honestly don’t have a running bone in my body, and my legs are screaming at me today for assuming that I did. So why did I do it? In the last few months, it seems that I’ve managed to pick up a few crazy sport fanatics as mates, beginning with my cousin. There’s something I’ve learnt about myself, as long as I have someone nagging me to do something, I will do it. When that person disappears, guess who becomes the laziest person on earth…me! All my amazing cousin, has to just say: “See you at spinning at 5am”, and I will rock up on time. Then there are the crazy work peeps, who train harder then anyone I know, but whose kind words propel me to want to do it. Simple gestures like tweeting me a ‘yay’ when I make it to gym, makes me proud, and pride can result in great motivation. Above all, the person who runs 10km with you and tells you: “You are NOT giving up”, makes you want to prove them right. Motivates you to go the full distance and tells you, you’re an idiot for not training, but you have it in you to finish this. 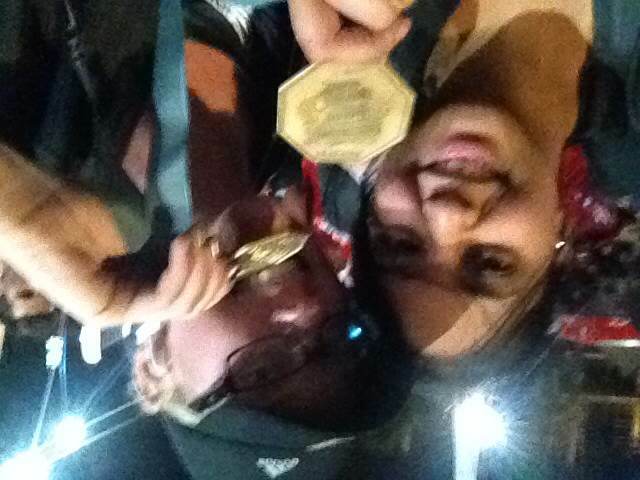 Guess what… I finished the 10km and have even signed up for Jump City [God save me]. To those who kept pushing me, thanks! To the others who didn’t realise how much it meant, I thank you as well. I also want to be the best I can be at the age I am. Homepage » Life » Motivation: Run Jozi – why I did it. 4 Comments to Motivation: Run Jozi – why I did it. Damn right you are not giving up! It’s quite something to complete a journey like that, I’m massively proud of you for doing it and so happy I could share it with you (cos running alone just isn’t the same). Awww Heidi, if you weren’t there I have no idea where I would be. Thanks so much. Now to start running more often. That’s crazily impressive! Well done!